If you’re interested in planting Maple trees, you have many options in front of you. Here at Derwen Wholesale, we have found the field maple, Norway maple and the Sycamore to be the most popular among the residents of the United Kingdom as well as those in Europe. These fast-growing shade trees are attractive to many species of wildlife, are highly resistant to atmospheric pollution and make a great addition to any garden. 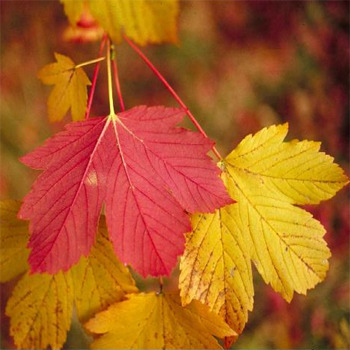 All three maple trees are extremely easy to plant and thrive well in clay and well-drained soils. They can tolerate shade as well. However, these deciduous trees are not good companion plants and must be planted separately. They can inhibit the growth of the bushes and hedges planted nearby. This section will cover the three popular maple trees. This deciduous tree can grow up to 15–25 metres in height and up to up to 1 metre in width of the trunk. The leaves are small and have rounded lobes. They are tinged red in early spring and turn green later. In autumn, they turn a beautiful yellow and the tree sprouts winged seeds. Field maple trees also make a great hedging plant as they are very dense. In the soils with high pH, the field maple thrives as a shrub. If you’re looking for field maple trees, you can buy the bareroot from Derwen Wholesale. The Norway maple is native to central Europe and other regions, and has characteristic large leaves with pointed lobes and one or more teeth on each lobe. Unlike the field maple, these trees are not native to Britain, but have been grown so extensively that they are naturalised. The Norway maple is available at Derwen Wholesale in bareroot form. The Sycamore is native to Britain, is a fast growing shade tree. The beautiful coastal round-headed tree has bright green leaves that turn yellow with the advent of autumn. The green-yellow flowers appear in spring and the winged fruits follow in autumn. The Sycamore is available at Derwen Wholesale in bareroot form. If you have any more questions about the planting or care of either of these maple trees, please message us here or call us at (01938) 553015. Our gardening experts will be quite happy to help you out. Browse through the inventory of our Acers and buy your favourite!